FL-1145 is 4 channels HD-SDI to ASI and IP Encoder. 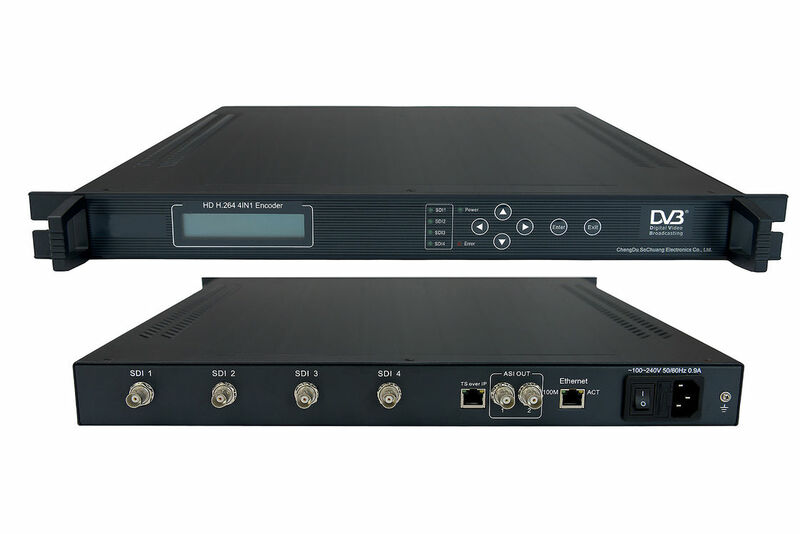 4-channel MPEG-4 AVC/H.264 HD (High Definition) SDI encoder has 4×SDI input and generates ASI (DVB, BNC) transport stream and 4×SPTS (TS over UDP) output. It supports multiple HD formats including 1080i/p and 720p. It suits 1U rack and provides front panel LCD operation and NMS (Network Management Software) controlling. Its high-integrated and cost-effective design makes it widely used in varieties of digital distribution systems such as cable TV digital head-end, satellite digital TV broadcasting and terrestrial digital TV, etc.